Tsurara is Mizore's mother. Like her daughter, she is very shy and serene, and shares Mizore's habit of hiding behind corners with a lollipop in her mouth. 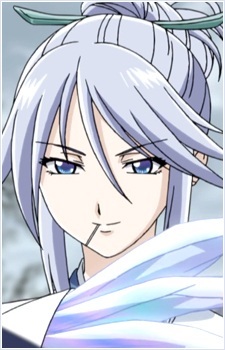 She comes to the Academy's festival under the belief from her daughter's stories that Tsukune is Mizore's boyfriend. Tsurara is also an avid gun collector, with a wide variety of handguns and rifles stored in her home; she once dreamed of becoming a spy. In Rosario + Vampire Capu2, Tsurara and Ageha hold a long grudge against one another, being rivals for the affection of a student during their days as students at Youkai Academy. She also runs a ski resort in the human world.